There’s nothing like being looked after and for a lot of us going to the hairdressers or salon is one of the few times in a while that we’re treated, preened, pampered and looked after. From our nails to our hair to our skin, the hairdressers or beauty salon offers the opportunity for us to chill out, beautify and feel great. 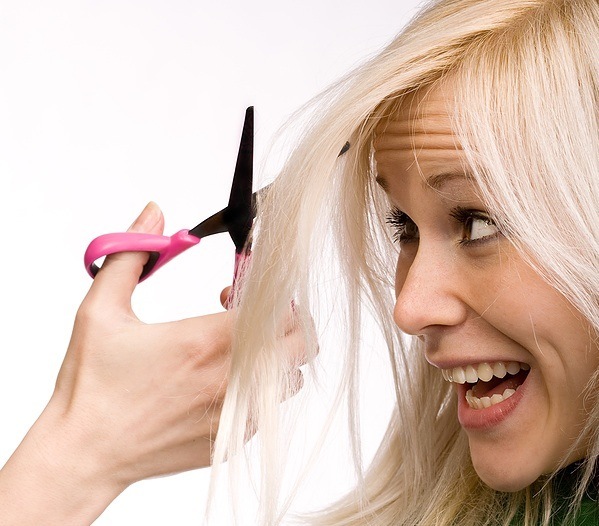 Conversely, a lot of us have also heard of nightmare scenarios in the salon – so, is the hairdresser a heaven or a hazard? Of course, we’re all familiar with the old adage that vanity and pain go hand in hand and it seems that before a trip to the hair dresser it’s often best to recall this observation. A hairdresser is somewhat like a science lab. All the potions and chemicals that are involved in hair care create beauty of one form or another; however they can also cause all sorts of issues. Many hairdresser use formaldehyde which causes scalp problems and breathing issues potentially, while others use sodium hydroxide, which is a form of bleach and can cause skin problems, eye injury and burns. In such cases, proper care should be taken to ensure protective gear is used to avoid injury. Any place that electrical appliances are used in close proximity to water is somewhere that caution must be taken and a hair salon is no exception. Aside from this major problem, the heat of curling tongs and straighteners can cause issues, as can fray leads and cords. One of the other major bugbears with salons is sanitation. Most tools of the trade are used again and again on different customers and sanitation is an imperative. From ringworm on the scalp, to fungal and bacterial infections; there are all sorts of issues an unsanitary hair salon can cause. Clean tools cut the risk of infection significantly, so ensure that the hairdresser cleans irons, tongs, scissors and other such items before use; you don’t want to end up with a medical problem caused by unsanitary tools and having to make hairdressing claims. Depending on the area in question, hairdressers may need a license to practise their trade. These requirements vary from country to country and area to area, however many need to have some form of sanctioned licence and need to satisfy training requirements of some form or another or they can’t operate within the law. Of course, most hairdressers and hair salons will operate within all of these aforementioned limits and there will be no such issues. However, as with anything it’s always best to be aware of the potential issues, problems and hazards at hand. Cormac Reynolds is a lover of fashion, clothing and has written a number of articles on the area of health and safety.